Are you ready to grow your blog? One of the best ways to get blog traffic is to learn how to use Pinterest the right way. Pinterest is the best way I have found to get blog traffic. To get traffic from Pinterest though your posts need to get seen. Here is how to get your pins to show up in Pinterest searches. Now on to today’s lesson. Though Pinterest is viewed as a social media, in reality, it is a search engine like google. When users go on Pinterest they aren’t looking to connect with people or share parts of their lives. They are looking for something a solution to a problem, a recipe, a craft, etc. So to do well on Pinterest you need to have your pins come up in searches. So that your pins get seen and clicked on. The best way to get found in a search is to have keywords that people will be searching for in your pin description. Make sure to take the time to fill out the description for each pin and add in the appropriate keywords. That way when someone is searching a keyword that is in your description your pin will come up in the search. You can also use keywords in the description of your boards and in your Pinterest bio. Doing this will help you get found more on Pinterest. How to get your pins to show up in Pinterest searches is not that hard. The best way to get found in a search is to have keywords that people will be searching for in your pin description. Make sure to take the time to fill out the description for each pin and add in the appropriate keywords. When you are uploading an image fill in the Alt Text section. That is where Pinterest pulls your Pins description from. That way when someone is searching a keyword that is in your description your pin will come up in the search. You can also use keywords in the description of your boards and in your Pinterest bio. Doing this will help you get found more on Pinterest. My most viral pin does well on Pinterest because when you search for the keyword what stuff to throw out or clutter to throw out my pin is in the first 10 pins shown. So my pin gets seen a lot and pinned a lot. I also have a few holiday pins with good keyword that start getting found a lot as the Holidays get closer. Using popular keywords in your description is a great way to get your pins to show up in Pinterest searches. For more ways to grow your Pinterest and start using it to grow your blog traffic. Check out my new ebook. The ebook covers all my Pinterest tips and tricks and how to start getting followers and people saving your pins. 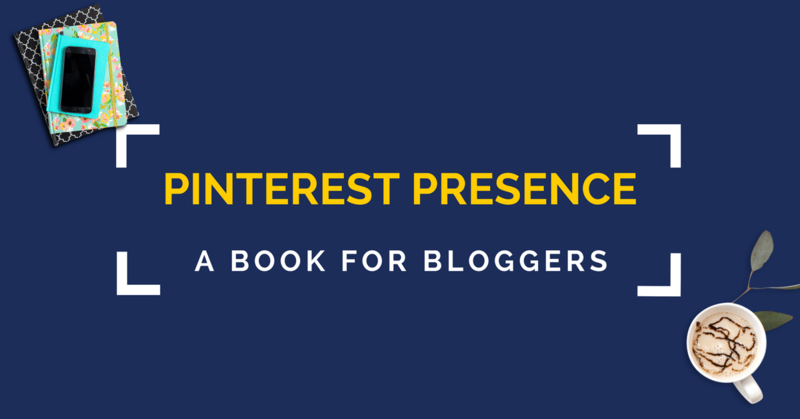 Grab your copy of Boost your Pinterest Presence here and start growing your blog with Pinterest today! Could ‘t agree more. My most popular pins all have good descriptions. I should really go through an update some of my older ones to see if it improves their reach! Great tip! I need to go back and check all my pins now 🙂 thank you! This is a great post. It shows how keywords are important not just for SEO on your blog, but also for social media platforms. Such a really great tip! I’ve been starting to focus on my pin keywords! I’m always trying to figure out Pinterest! Thanks for the info! I always think about what I would search when looking at a certain pin. Then I make sure to add those keywords. Thanks for the tips, I will be better about my key words! I don’t know where the Alt Text is? The alt text is in your image. When you upload it the information will include a section called Alt Text.